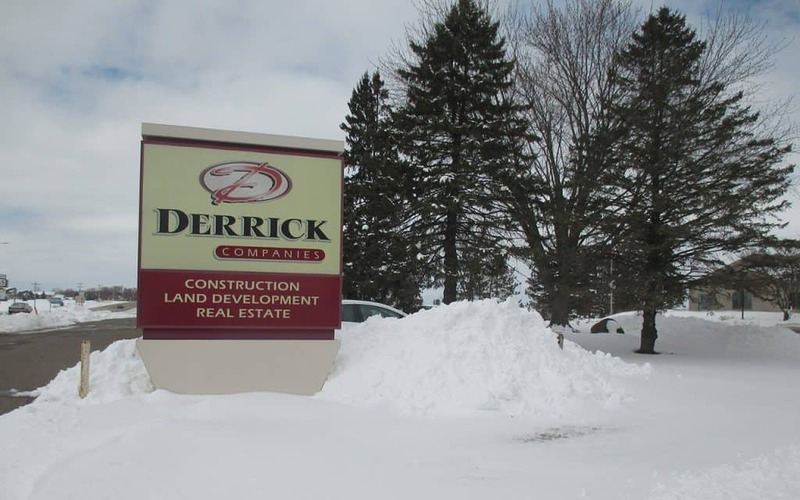 If you have a home or business in Wisconsin or Minnesota, the April snowstorms probably have you frustrated and anxious for spring. They might even have you waiting and wondering what to do about your project…since the weather is not cooperating. A late spring can potentially cause problems such as backups for design services, longer waits for permits, later starts due to inclement weather, frozen ground, or road bans in some areas. What can you do now to help you avoid problems? The key is: DON’T WAIT to take action. 1) Don’t Delay Decisions. If you are considering a project for 2018 we highly encourage you to make your decisions and move ahead. Seeing the lingering winter weather might lull some individuals into thinking, “I have plenty of time, all construction is delayed anyway,” but that is completely false and the opposite is true. A compressed construction season will favor those who were prepared and ready to go as soon as possible once the weather breaks for the year. 2) Save Time with Design-Build. When you work with a Design-Build Contractor (such as Derrick Building Solutions) you can shorten the time spent on a project up front and get the initial work moving while completing your detailed plans. This approach can save weeks or months and allows you to move forward even if the architect has some design backlog. 3) Apply for permits ASAP. Spring is often a time when local and state authorities get backlogged with permit requests, and it can be worse in a delayed spring due to parties waiting until the weather breaks to move on these important documents. There will always be a wait for permits, but you can lessen the likelihood that permits will hold your project up when you complete your applications as soon as you have all your necessary documentation. 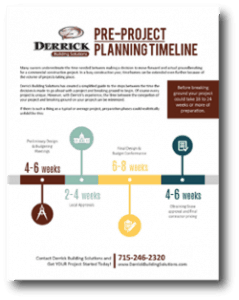 If you are new to a commercial construction project, you might find our pre-project planning timeline helpful. There are many steps that take place before active construction can begin. As always, Derrick Building Solutions is here to help you every step of the way and will work with you to ensure all the proper steps are taken to expedite your project as much as possible during a potentially shortened construction season. Click the “Download Now” button to get our pre-project planning worksheet.